Galaxy S3 LTE Gets Android 4.3 Jelly Bean-based CyanogenMod 10.2 ROM. 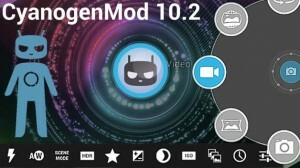 Your Samsung Galaxy S3 LTE (model GT-I9305) does have some life left in its legs, as the folks over at CyanogenMod has made sure that Android 4.3 Jelly Bean is now part of the CyanogenMod 10.2 nightly ROM releases. In fact, it was just a couple of weeks ago when we brought you word that CyanogenMod 10.2 nightlies for Android 4.3 Jelly Bean has arrived, and here we are with the Galaxy S3 LTE variant being the most recent device to enjoy Android 4.3-based CyanogenMod 10.2 custom firmware. Just to make sure that everyone is on the same page, this happens to be an Android Open Source Project (AOSP) based custom release, which means you will need to have ClockworkMod (CWM) recovery installed on your device beforehand. Before you perform any installation, make sure that you own the right device by going to Settings > About Phone. Perform a back up of your data and settings via a recommended custom recovery tool, and ClockworkMod (CWM) or TWRP would be pretty decent places to start. Make sure that the correct USB drivers are installed on the computer, while ensuring that USB debugging mode is turned on. Make sure that your device has at least 80% of juice left before you perform any kind of installation, and as a general rule of thumb, it does not hurt to keep your device plugged into a power outlet just in case Murphy decides to drop by and botch the entire operation as you can never quite tell just how the quality of today’s batteries are like. The full skinny on the steps to get CyanogenMod 10.2 on your Galaxy S3 LTE can be found here, so proceed at your own risk.